Habitat and behaviour: This snake, which is imposing due to its size, lives is primary and secondary woods up to a height of approx. 900 meters. However as a cultural follower, you can also come across the species on oil palm plantations and nearby human settlements. These snakes are active in the daytime and at twilight. You can usually find them on the ground on the hunt for lizards and rodents. They spend the night curled up in loose bundles in bushes and on branches up to a height of around 3 meters. If they are disturbed at night or attacked, they react astonishingly lost and generally do not even try to bite. Due to their size, they do have rather large teeth; therefore a bite is not dangerous but can be painful. This is a large but non-venomous reptile. Distribution area: Throughout Thailand, but predominantly in the lowland areas. 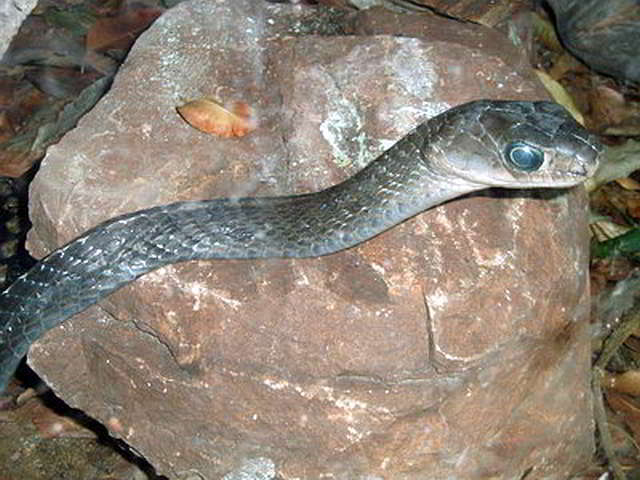 Length: up to 370 cm but the snakes are normally smaller. 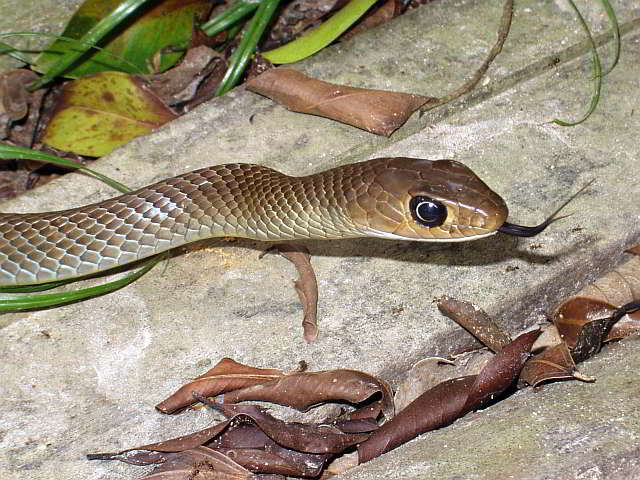 Behaviour/habitat: The Oriental Rat snake lives in open forests as well as in cultivated landscapes (e.g. plantations). It inhabits predominantly the ground but is also an outstanding climber. These snakes are active during the day and at dawn. 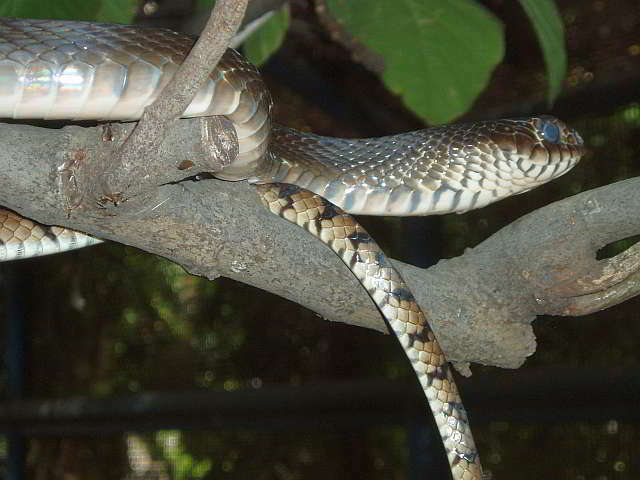 At night the snakes can be found rolled together, sleeping on shrubs and in the branches of trees. They are relatively easy to catch. The eyesight of the snakes does not seem to be particularly good at night, because animals which were found at night appeared to be disoriented. They eat practically everything that they can catch and their diet includes rodents, birds, snakes, lizards, bats, frogs, and toads. There is even a reported case of the Ptyas mucosa being fed a young turtle. Large specimens do not strangle their prey, but crush them with their body weight. Smaller victims are usually eaten live. The primary mating season extends from April to June. Animals from southern Thailand may reproduce throughout the year. Ritual codes of behaviour and fighting have been observed in males during the mating season. During this time the animals intertwine themselves with parts of the front body, parts of the trunk, and parts of the tail in contact. About 2 months after the mating, the females lay between 6 and 18 eggs. The young animals are hatched approximately 60 days later. They have a general length of between 36 and 47 centimetres and contrary to the adults, they are very pale. Danger level: Small, newly captured animals can bite quite violently. In captivity however they can become quite docile.